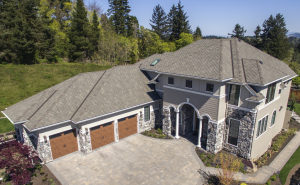 Malarkey Roofing Products has released its Legacy XL and Windsor XL high-profile shingles. Malarkey Roofing Products has released its Legacy XL and Windsor XL high-profile shingles. The heavyweight shingles offer a more pronounced design on the roof while maintaining the fortified durability of their original shingle lines. The Legacy XL high-profile design utilizes durable SBS polymer modified asphalt, now known as Flexor, to promote granule adhesion and Class 4 impact resistance, as well as Scotchgard Protector from 3M for added protection against black streaks caused by algae. The Windsor XL features durable Flexor polymer-modified asphalt to promote granule adhesion and Class 4 impact resistance, as well as 3M Scotchgard Protector for protection against black streaks caused by algae.